How many icebergs are there in Antarctica? Icebergs would have to rate as one of the most coveted highlights for all those who travel to Antarctica. With their gargantuan size and variety of fantastical shapes, not to mention array of iridescent colours, icebergs are as captivating as they are intimidating. Mother Nature’s very own icy skyscrapers define the landscape this far south and can turn even the most amateur of photographers into National Geographic experts. Breathtakingly beautiful and fiercely powerful, icebergs are a formidable force of nature, and any visit to Antarctica is made all the more memorable because of them. Travelling to Antarctica and wondering just how many icebergs you’ll come across? Read on and find out all about these incredible icy treasures! 1. How are icebergs formed? Icebergs begin their life cycle as compacted snow deposits which have frozen over land to form glaciers and ice shelves. 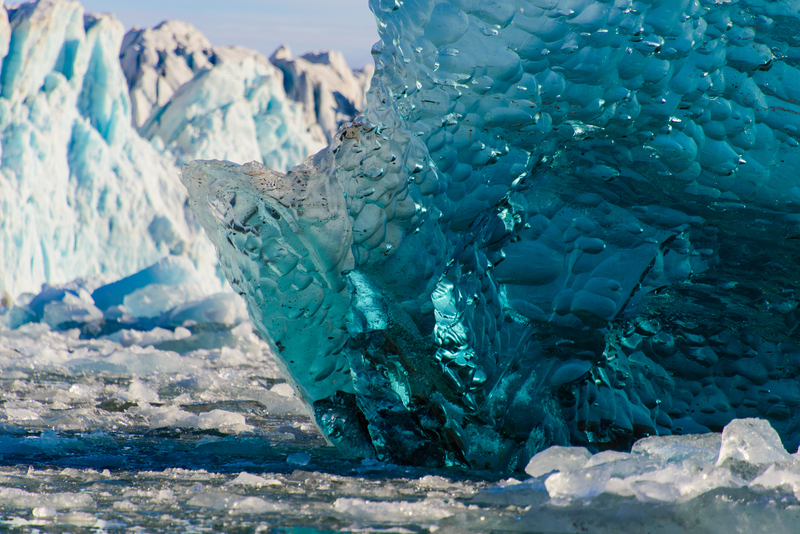 Over time and due to various reasons, large chunks of ice can break off and float in the open seas. Any broken chunk of ice that measures more than 5m above sea level – and 30m in length at the water line – is considered an iceberg. The term iceberg derives from the Dutch word ‘ijsberg’ which translates to ‘ice mountain’. Smaller pieces of iceberg which are smaller than the designated size are called ‘growlers’ or ‘bergy bits’ and are not to be confused with sea ice, which are pieces of frozen salt water. Icebergs are made of fresh water ice in its purest form. 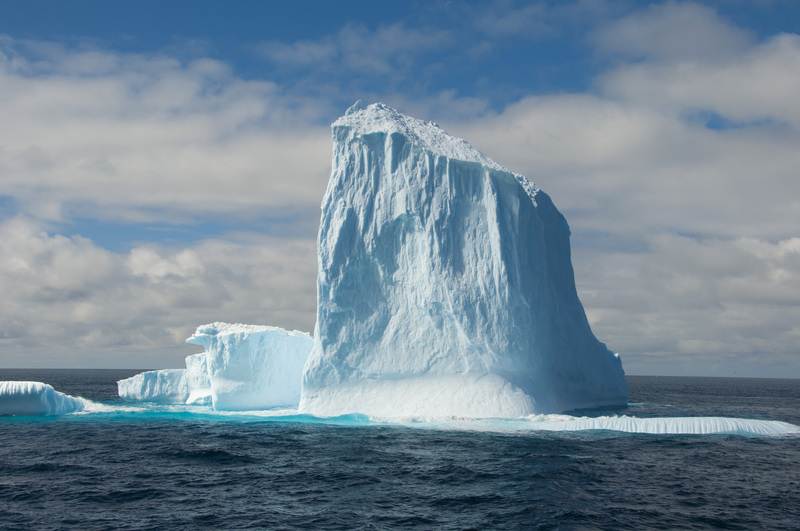 According to scientists, it takes between 3,000 and 10,000 years of snow deposits for an iceberg to calve off! 2. How are icebergs classified? 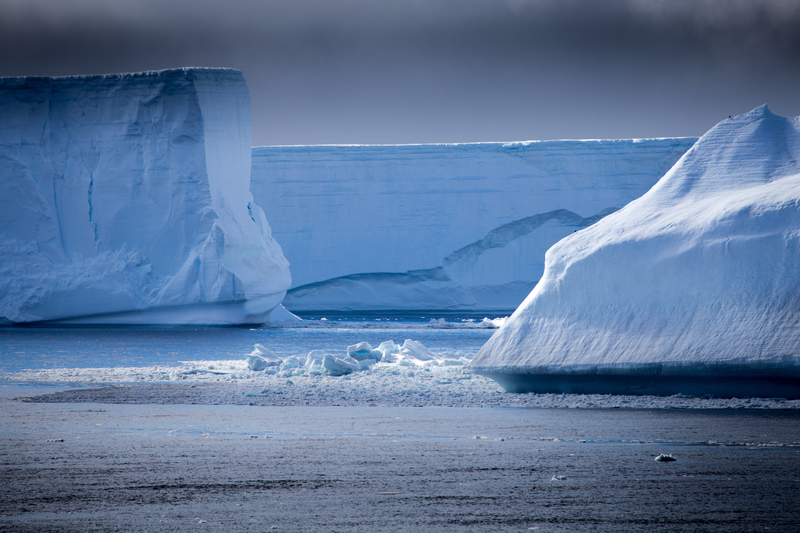 Icebergs are primarily classified by size (from growler to bergy bit and small, medium, large and very large icebergs) and subdivided in two shapes: tabular and non-tabular. The former denotes an iceberg with a flat top and very sheer edges, as well as a length to height ratio greater than 5:1. All other icebergs which don’t have this shape, including Dome, Pinnacle, Wedge, Dry-Dock and Blocky, are classified as non-tabular. 3. What gives an iceberg its colour? If you’ve been lucky enough to cruise to Antarctica already you will no doubt have noticed that icebergs are, contrary to belief, not only white. Depending on how the sun shines on them, icebergs refract mesmerising hues of white, blue and green. This is because the compacted snow which collated to form the iceberg was interspersed with air bubbles, dust and algae. The colour of an iceberg is also often used to determine its age: younger icebergs tend to refract more green (from living algae) while older ones appear more blue due to the ice becoming denser over time and absorbing all colours except blue. 4. How much of an iceberg is hidden underwater? The fact that the greater part of an iceberg lies below the surface of the water is arguably the most known fact of all. The ‘tip of the iceberg’ is an idiom that’s often used to describe a small event or idea which hides a much bigger one. On average, about 90% of an iceberg lies below the surface of the sea, and this is due to the fact that ice boasts 90% of the density of sea water. 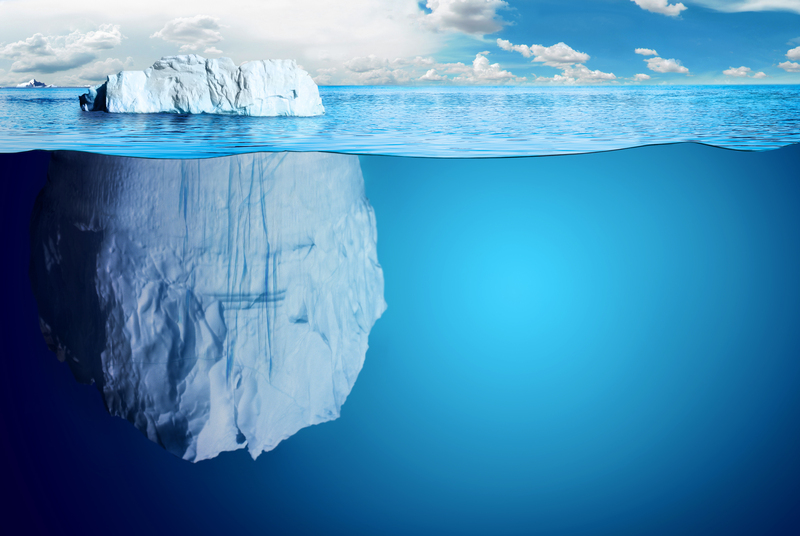 Usually, the width of an iceberg above the water is roughly 20-30% smaller than what lies below. 5. How fast do icebergs travel? There are various factors which determine the speed at which a particular iceberg travels, including wind and sea current speeds, as well as the iceberg’s own shape and size. On average, however, an iceberg will float along at about half a kilometre an hour, although some have been recording zooming at over 3km/hr. Due to the fact that the great majority of any iceberg is found underwater, sea currents play a much greater role in their travel-speed than wind currents. 6. What spurred man’s fascination with icebergs? Given the fact that icebergs have been floating about our planet’s polar regions since time immemorial, it’s interesting to know that icebergs came under the close scrutiny of scientists only after one famously downed the Titanic in 1912. Up until then, the scientific community didn’t give them much thought and never even considered them particularly dangerous to ships. The sinking of the Titanic turned the focus on these immense chunks of ice and led to the formation of the International Ice Patrol, whose sole job has been to keep an eye on iceberg formations and travels off the coast of North America and the Arctic Region. In Antarctica, icebergs are monitored by the NIC (the US National Ice Centre) which uses satellite imaging to track floating icebergs. 7. What is the largest iceberg ever recorded? B15 was the name given to an iceberg which broke off the Ross Sea Ice Shelf in Antarctica in March 2000. It boasted a surface area of 11,000 square kilometres, measuring 295km in length and 37km in width. For the next 6 years, B15 proceeded to break off in various pieces, some tracked to within a few hundred kms off the coast of New Zealand, causing a flurry of last-minute tourist flights over the coast. B15 was so large, that scientists were able to install GPS and weather-monitoring systems on it, thus providing a priceless insight into the behaviour of megabergs and the impact of global warming on our planet’s ice shelves. NASA satellite imaging caught the final breaking of B15 in 2012. It should be noted, however, that B15 is only the largest iceberg ever recorded by satellite imaging. A much larger iceberg broke off the Ross Sea Ice Shelf in 1956, and although it allegedly measured 333km in length and 100km in width, its true size could never be verified. The sighting was reported by the US Navy icebreaker, the U.S.S. Glacier. 8. Can icebergs ever ‘flip over’? Although all icebergs will eventually flip over – and many will turn more than once – it is still a rare occurrence to witness an iceberg flip. Tabular icebergs are the most stable of all whilst Pinnacle and Wedge icebergs, and all those with a pronounced ‘larger’ side, are considered the most unstable of all icebergs and can be prone to flipping over in a matter of seconds. When an iceberg does flip over it can make for an astonishing spectacle, and you can peruse photos here taken by a photographer who cruised to Antarctica and happened upon a recently flipped iceberg. 9. How long is an iceberg’s life-span? In Antarctica, icebergs tend to have a lifespan of about 10 years, although the exact time it takes for one to melt completely – or run aground – will be highly dependent on its shape and size. An iceberg’s demise is caused by several factors, including melting, fracturing due to waves above the waterline and underwater collisions with other icebergs or the seabed. 10.How many icebergs are there in Antarctica? Due to the unpredictability of iceberg calving and their varying degrees of melting, it is impossible to estimate just how many icebergs are found in Antarctica, although scientists can confirm that the region holds over 90% of the world’s iceberg mass. 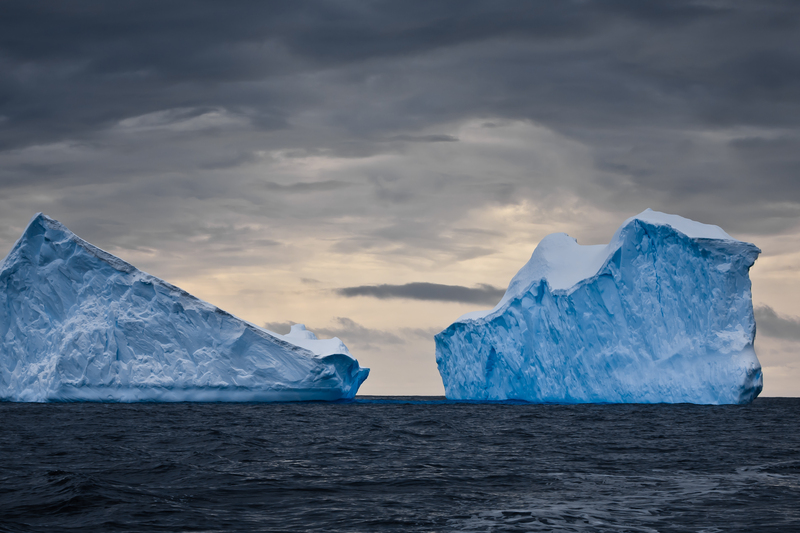 Antarctica is also home to the largest icebergs of all, because it is here that the largest ice sheets are found. Dreaming of seeing Mother Nature’s magnificent ice sculptures with your own eyes? We offer a range of Antarctica cruises and flights to suit all budgets and travel styles, and endeavour to match you up with the most suitable expedition option for you. 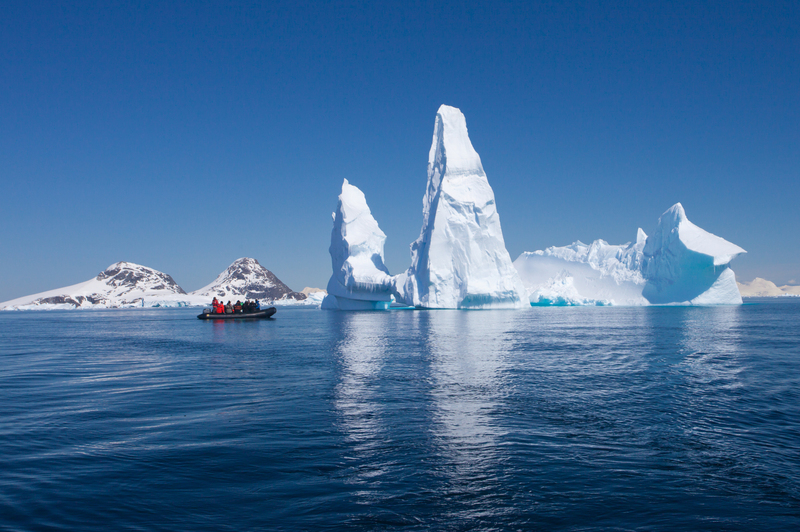 From epic voyages to the Ross Sea to classic cruises to the Antarctic Peninsula and flights to Antarctic islands, our range of adventures is as varied and enticing as the icebergs you’ll no doubt come across! Contact us for more info. For more facts and all things Antarctica, check out our Antarctica Resource Centre. Sail through the heart of the Antarctic Peninsula into an enchanting polar desert, a final frontier surrounded by awe-inspiring icebergs.